Kerry-Anne and I attended a wedding on Saturday at the beautiful La Provence wine farm on the Polkadraai road, between Kuils River and Stellenbosch. 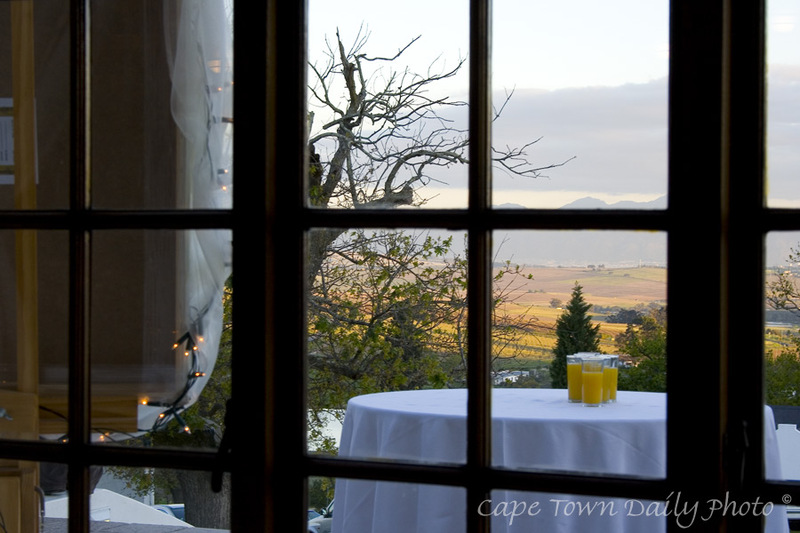 Located on a hill, it's an absolutely awesome venue looking out over vineyards, the Boland mountains and False Bay. We spent the evening enjoying good wine, great food and plenty of dancing - an awesome evening it was. Posted in General on Tuesday, 11 September, 2007 by Paul.